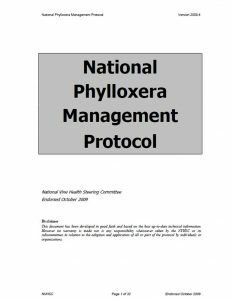 The viticulture industries (wine and tablegrapes) – through the National Vine Health Steering Committee – developed a National Phylloxera Management Protocol, which is an agreed standard for managing the movement of risk vectors so as to minimise the risk of spreading phylloxera. The national protocol covers the movement of grapevines, vineyard machinery, grapes, people and grape products from Phylloxera Infested Zones and Phylloxera Risk Zones into non-infested zones (see map of phylloxera zones in Australia). It gives details on the recommended disinfestation treatments for machinery, footwear, vehicles etc that can be applied in any vineyard situation. *Note: Recent peer-reviewed research undertaken by Dr Kevin Powell has shown that footwear must be immersed for at least 60 seconds in a 2% chlorine solution footbath to ensure disinfestation against a range of endemic phylloxera strains. 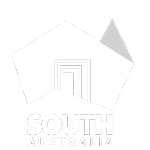 This change superseded the 30 second recommendation in the current National Phylloxera Management Protocol and was effective from January 2017.